Hive & Hollow features local artists from Menomonie, and the Midwest. All gift items are sourced from independent makers. Hive & Hollow carries arts and crafts from small, independent makers with a focus on sustainability and giving back to their communities. 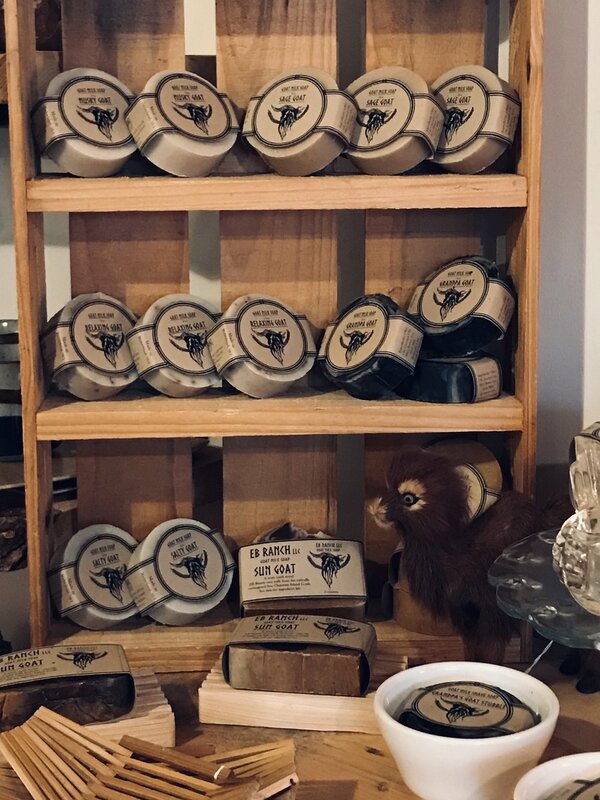 You’ll find body care and household products from EB Ranch, Furman-Falk Farms, Beloved Sisters, Simply Earth, 45 Degrees Beard and Body Co, The Melted Bean, and Wild Honey Botanicals. Jewelry by Brave, Salt Collective and Permanent Baggage, and chocolate from Mayana Chocolate. Local artists and authors Laurel Fraher, Jeanne Styczinski, Tracy Chipman, Bruce Siebold, Tamara Brantmeier, Leah Monson, Marc Anderson, and Jessie Edminster Lawson. You’ll also find local ceramic, wood, and wool artists Mary Marin, Steve Jensen, Nick Endle and Joe Gerber. Interested in becoming a featured artist/maker? Please read our consignment agreement and submit photos of your work to our jury at hello@hiveandhollow.earth. Submissions will be reviewed quarterly.